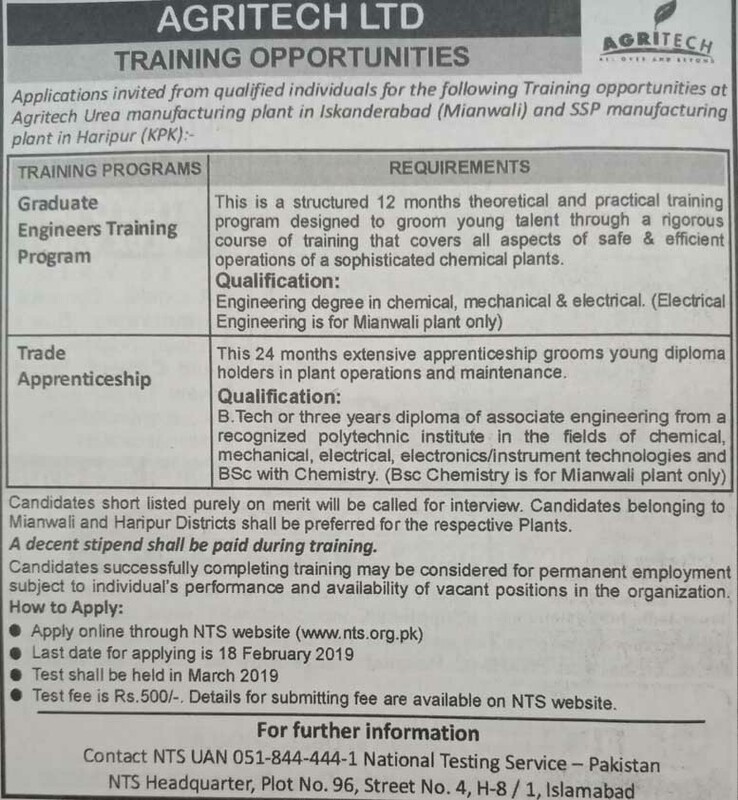 This is a structured 12 months theoretical and practical training program designed to groom young talent through a rigorous course of training that covers all aspects of safe & efficient operations of a sophisticated chemical plants. This 24 months extensive apprenticeship grooms young diploma holders in plant operations and maintenance. Candidates short listed purely on merit will be called for interview. Candidates belonging to Mianwali and Hari pur Districts shall be preferred for the respective Plants. A decent stipend shall be paid during training. Candidates successfully completing training may be considered for permanent employment subject to individual's performance and availability of vacant positions in the organization. Test fee is Rs.500/-. Details for submitting fee are available on NTS website.